Dog training, puppy training, dog behaviour and rehabilitation specialists. We Come To You! 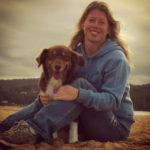 Your local Central Coast dog training and behaviour specialist Linnea Olle can help you create the behaviour and relationship with your dog that you’ve always wanted. At SitDropStay Dog Training Central Coast, we use a simple and natural approach that both empowers you and is respectful to your dog. Whether your dog has behaviour issues that you would like to improve around the home or out in public, or you just need a fast and easy approach to general training and training issues Linnea can help you. We use a holistic approach that also looks at creating the relationship that works for both you and the dog and showing you how to manage the state of mind and energy levels of your dog or puppy. We use a highly effective and holistic approach to dog behaviour and dog training based on your dog’s natural language and communication. This respectful approach creates a harmonious relationship and an instinctive willingness to cooperate. It is this understanding, coupled with the latest and most advanced dog training methods, that is the focus of SitDropStay’s unique dog obedience training system, and the reason we are achieving the best results. SitDropStay Dog Training Central Coast offers services in the whole of the Central Coast NSW including, Gosford, Terrigal, Mardi, Morisset and Tuggerah. We believe in-home dog training is the most effective and easiest way to establish a solid foundation of training and create the dog you want, giving faster results, with sessions that are tailored especially to your individual needs. We focus on creating a calm and co-operative dog. We believe the state of mind your dog is in when it receives a reward is more important than their physical action. We use the language your dog understands. We teach you how loving leadership and connection can change your dog’s behaviour and result in a more successful relationship. We believe our one-on-one personalised training gives superior results compared to group classes, which is why we offer this exclusively. Whilst group classes offer fun and stimulation to your dog, they are not designed or able to address behavioural issues or to educate and empower you as the owner. Fill out the form below and we will be in contact to discuss how SitDropStay can help you have a more rewarding relationship with your dog. We start out with an introductory phone consultation with our Central Coast based dog trainer, who will ask you some preliminary questions to find out what your individual needs are. Our trainer will come out to your home, or other place of your choosing, to conduct an initial one on one session with you and your dog that is tailored to your specific needs. Taking into consideration your current lifestyle, who else is in the family, your dog’s temperament and the outcome that you want to achieve they will put together a formula that’s right just for you. If further consultations are required we will come back and address any continuing issues and ensure that you have all the tools you need for a rewarding relationship with your dog based on loving leadership and true connection. After a 3rd consult you’ll get unlimited call outs as well as phone and email support for anything we have covered in your consultations – that’s how sure we are that we can solve any issue big or small, with any dog. Your SitDropStay trainer in the Central Coast region of NSW is Linnea Olle. Growing up in the beautiful farmlands of southern Sweden, Linnea has been surrounded by animals, mainly dogs and cats (and the odd moose) all her life. In 2003 Linnea adopted her current dog, Bella, from a local family when she was 18 months old. They developed an instant bond, however Bella exhibited some behavioural and socialisation issues both at home and in public.